MANILA, Philippines (Mindanao Examiner / May 16, 2011) - A Filipino lawmaker on Monday called anew for the passage of legislation mandating pay increases for workers in the public and private sectors. “The increase in tuition fees, together with the hike in prices of school supplies, highlights the rising cost of education, especially in private schools. This emphasizes the inadequacy of the recently approved P22 increase in cost of living allowance in the National Capital Region and justifies the immediate granting of a substantial pay hike for all workers." 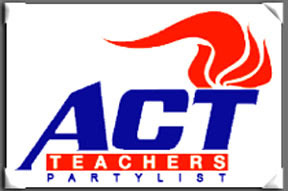 "We support the demand for a legislated P125 daily wage increase for the private sector and a P6,000 increase in the minimum salary of government workers,” said Representative Antonio Tinio, of the ACT Teachers party list group. He said if salaries are not increased, more students, particularly in higher education, will join the ranks of out-of-school youths and be deprived of their right to education. Tinio is a co-author of House Bill 375 providing for a P125 nationwide, across-the-board daily wage hike for private sector workers and House Bill 3746 mandating a P6,000 increase in the minimum pay of government employees.